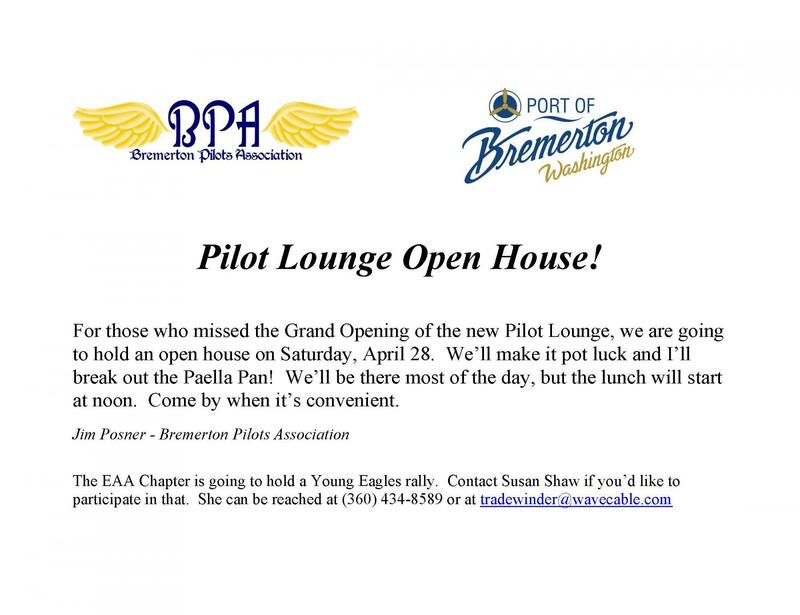 For those who missed the Grand Opening of the new Pilot Lounge, we are going to hold an open house on Saturday, April 28. Join us for a potluck and Jim Posner with the Bremerton Pilots Association will break out the Paella Pan! Feel free to attend throughout the day, with lunch to be served to start at noon.